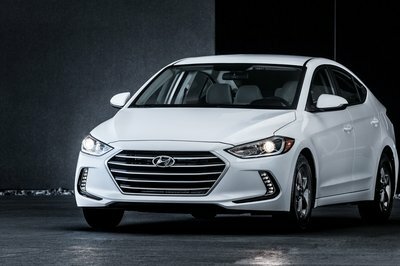 After being officially unveiled in 2011, the fifth-generation Hyundai Elantra continues into 2014 with some improvements that include a series of new exterior and interior features and a more powerful engine. The old GLS version is now known as the SE trim and there is also a more powerful Sport trim, giving the sedan a little extra pop. Next to being more powerful, the new Sport version will also add a sport-tuned steering and suspension calibrations, plus a series of exterior updates that will distinguish it from the rest of the lineup, like chrome insertions, a rear spoiler and an exposed single exhaust tip. The new Sport version gets a new 2.0-liter engine, that delivers an extra 25 horsepower and 23 pound-feet of torque when compared to the 1.8-liter Nu engine used last year in the Elantra. Updated 07/03/2014: Hyundai today announced details on the 2015 Elantra which brings a series of new features and packaging updates. Hyundai is now offering a set of new exterior colors and two new packages: Style Package and Tech Package. 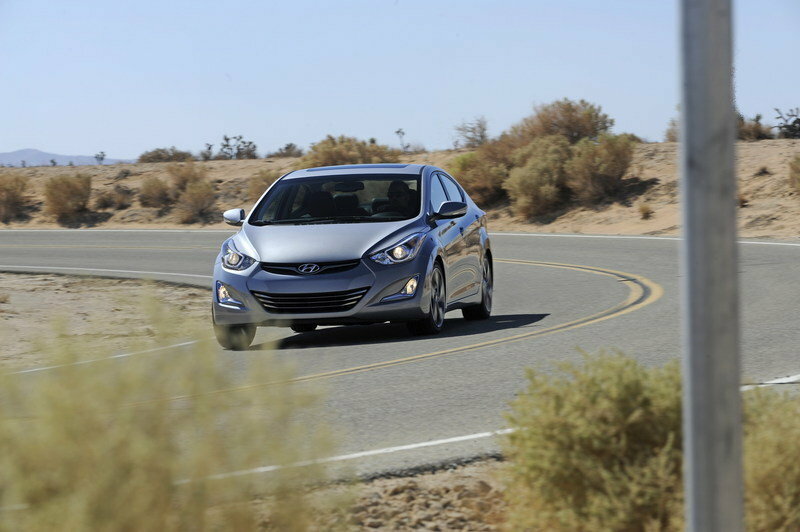 Click past the jump to read more about the 2014 Hyundai Elantra. 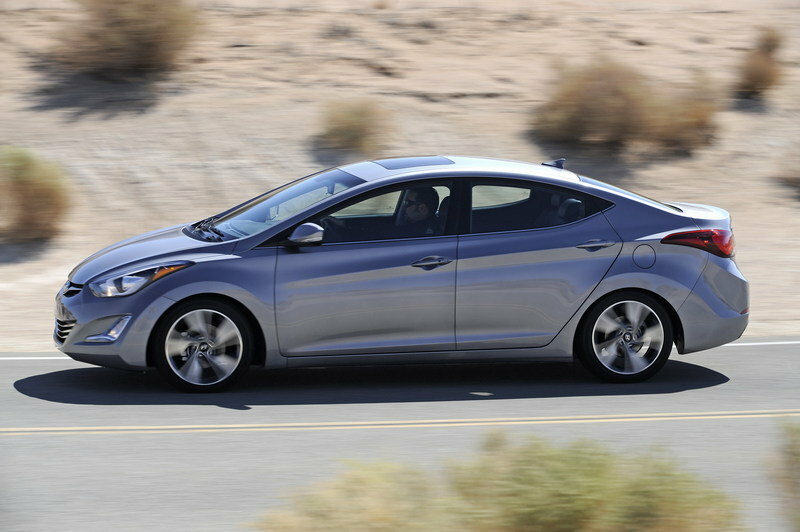 For the 2014 model year, the Elantra is updated with a new front and rear look, plus a series of redesigned wheels. 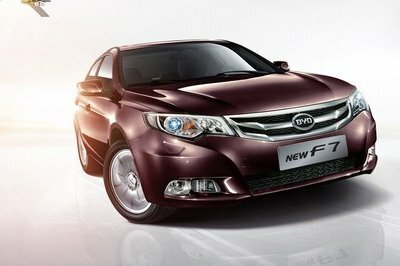 Up front, there is a new open-mouth lower bumper, a new grille, plus redesigned projector headlamps with LED accents. The fog lights now feature an L-shaped graphic for a more grounded look. On the sides, the car received a chrome beltline molding, plus a new set of wheels offered in various sizes, depending on the model. Around back, there is a new, two-tone rear diffuser. 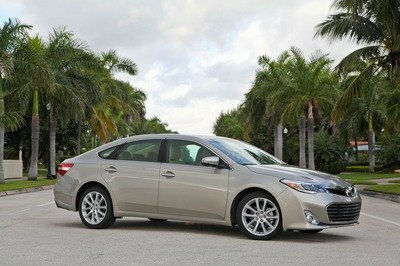 The interior is updated and offers a more premium feel and an all-new, third-generation navigation and audio system. Buyers also get a wide choice of colors and aluminum insertions. The HVAC vents and the controls feature a subtle change of placement. A slightly darker, more neutral beige interior color, aluminum pedals on the Sport and aluminum door sill plates on the Sport and Limited versions help give the cabin a more upscale feel. The optional, multifunction, seven-inch touch-screen display with navigation now features a simpler user interface, enhanced voice-recognition commands and improved navigation screens. This system also includes Pandora internet radio. 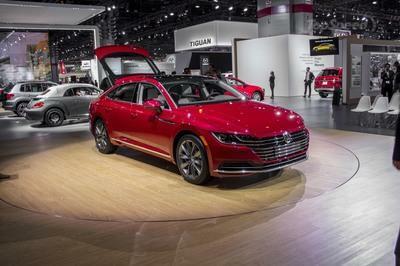 All but the Sport model come standard with a 1.8-liter, four-cylinder engine that delivers a total of 145 horsepower and 130 pound-feet of torque. 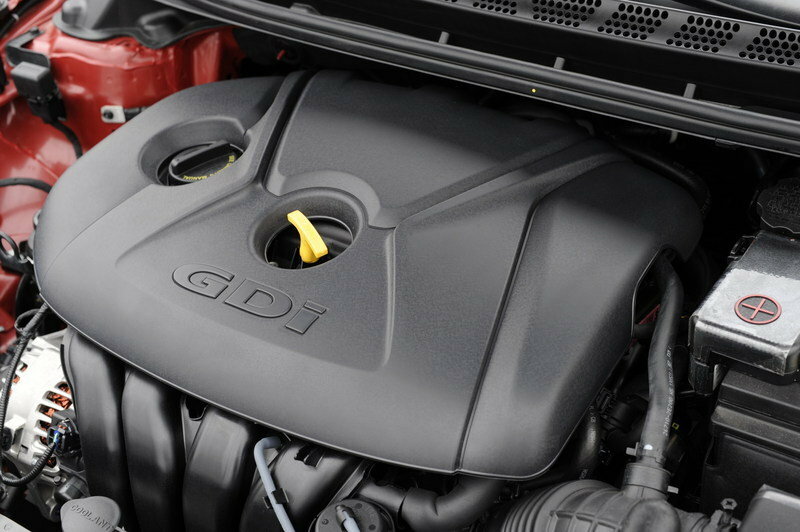 The hooter Sport version gets a new, 2.0-liter GDI engine that produces 173 horsepower at 6,500 rpm and 154 pound-feet of torque at 4,700 rpm. 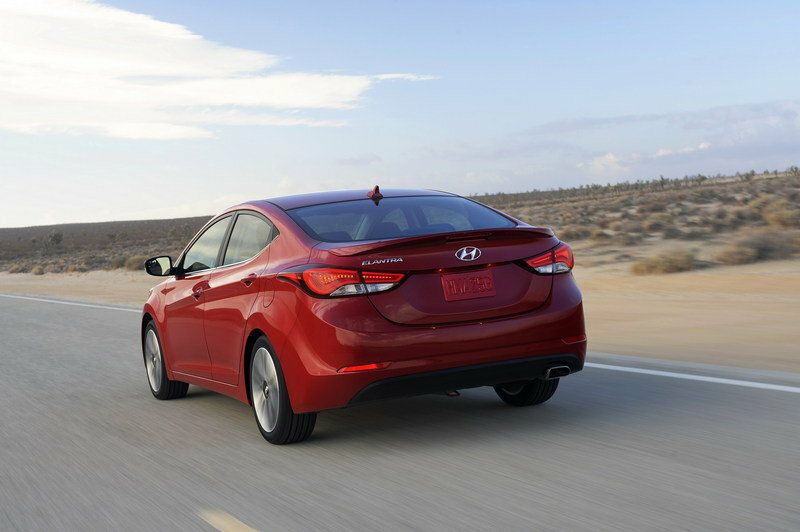 All 2014 Elantra models come standard with a six-speed manual gearbox, but a six-speed auto box is an available option. The Sport version equipped with the six-speed automatic transmission delivers an EPA estimated fuel economy of 24 mpg city and 35 mpg highway, while the base models equipped with the six-speed automatic gearbox return a fuel economy of 28 mpg city and 38 mpg highway. The new Elantra Sport is offered with a new Motor Driven Power Steering (MDPS) setup that reduces friction and provides a quicker ratio for more responsive cornering. It also gets stiffer dampers, rear springs and a larger front stabilizer bar. The SE and Limited models are offered with Hyundai’s Driver Selectable Steering Mode, with three operating modes – Comfort, Normal and Sport. The first model is suitable for city driving, Normal is for a mix of driving conditions, while the Sport is suitable for higher-speed freeways. 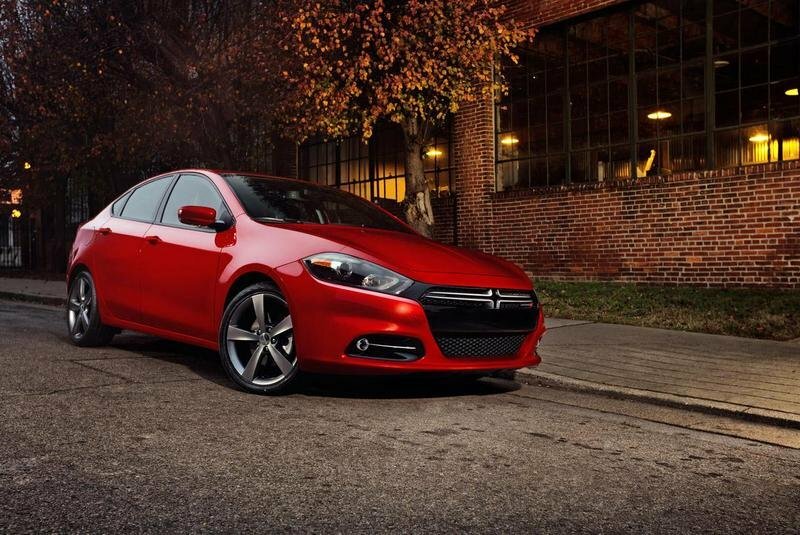 Dodge Dart is offered with a choice of three engines. The base model gets a 1.4-liter MultiAir engine that produces 160 horsepower,and there is an optional 2.0-liter Tigershark 16-valve engine that also develops 160 horsepower. The top version gets a 2.4-liter MultiAir Tigershark engine that delivers 184 horsepower. Prices for the Dart start from $15,995. 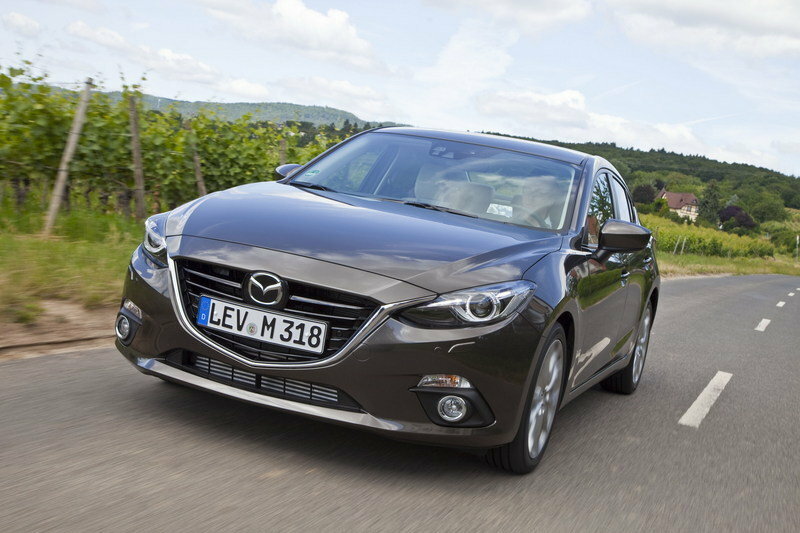 The new Mazda3 sedan is one of our favorite sedans on the market. It is offered with a choice of two engines: a SKYACTIV-G 2.0-liter gasoline engine with 155 horsepower and a new SKYACTIV-G 2.5-liter gasoline engine with 184 horsepower. Both engines are offered with a standard SKYACTIV-MT six-speed manual transmission, while a SKYACTIV-Drive six-speed automatic transmissions is offered as an option. The 2014 Mazda3 is priced from $16,945. With all the changes received for the 2014 model year and the new Sport trim level, the updated Elantra will remain one of the leaders of the market. According to Hyundai it offers considerably more interior room when compared to competitors, plus a trunk volume that beats most of the competitors. The award-winning Hyundai Elantra returns for 2014 with extensive design upgrades and a more powerful GDI engine in the new Sport trim. A host of new features have also been added, while maintaining the roominess, warranty and safety that has made Elantra a three-time recipient of the ALG Residual Value Award. In total, more than 75 Elantra major sub-systems are new or redesigned. The all-new 2014 Elantra Sport and the rest of the Elantra line up was introduced today at the 2013 Los Angeles Auto Show. 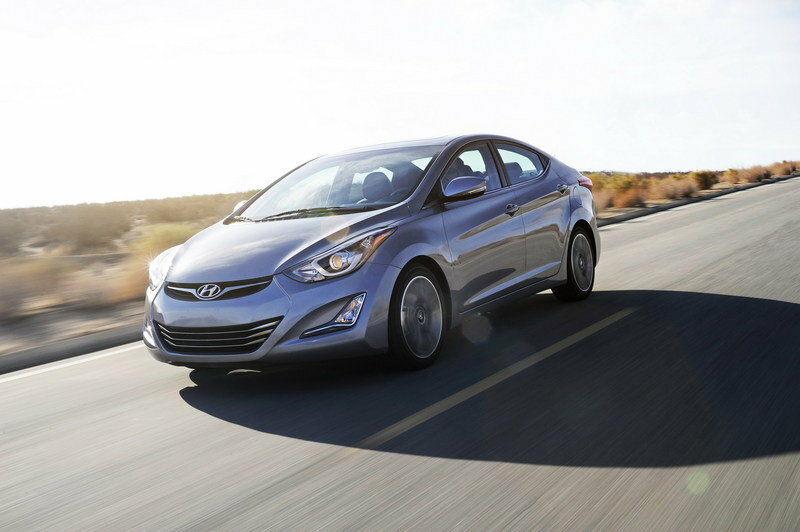 The 2014 Elantra receives all-new front and rear exterior designs, along with interior styling upgrades. 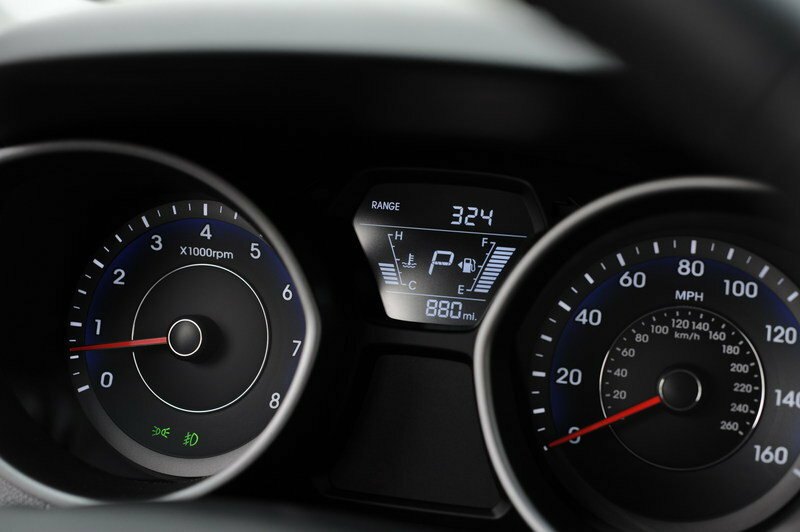 Sport-tuned steering and suspension calibrations sharpen the new Elantra Sport’s handling, while extensive technology upgrades improve ergonomics for the entire Elantra Sedan lineup. New technologies built into the 2014 Elantra include the application of the next-generation navigation and audio technology, which feature simpler user interfaces, enhanced voice recognition commands, improved navigation screens and available Pandora internet radio. A 4.3-inch color touchscreen with integrated rearview camera is now available on the entry level SE, in the Preferred Package, and as standard equipment on the Elantra Sport and Limited. Also new to Elantra Limited is Hyundai’s Blue Link and Assurance Connected Care safety, service and infotainment telematics system. 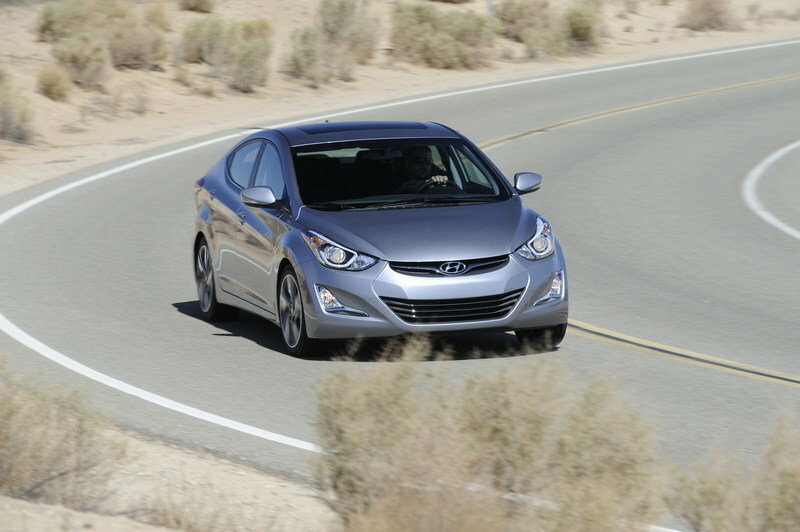 For 2014, the Elantra has received a host of exterior design changes. 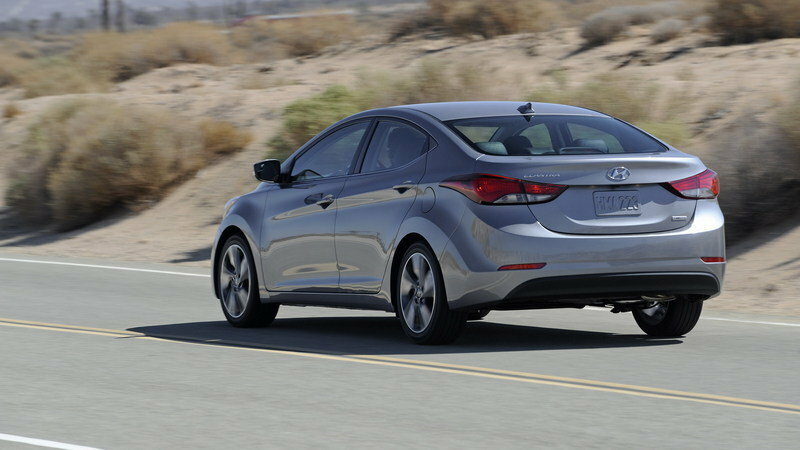 The front and rear styling of the 2014 Hyundai Elantra have been altered for a more stable, balanced look. Up front, a new open-mouth lower bumper, grille, more technical foglights and projector headlamps with LED accents add a dynamic, precise feel to Elantra. The whole L-shaped foglight graphic stabilizes the front end and gives the car a more grounded look, while maintaining a greater sense of width that forces the eye to the corners. 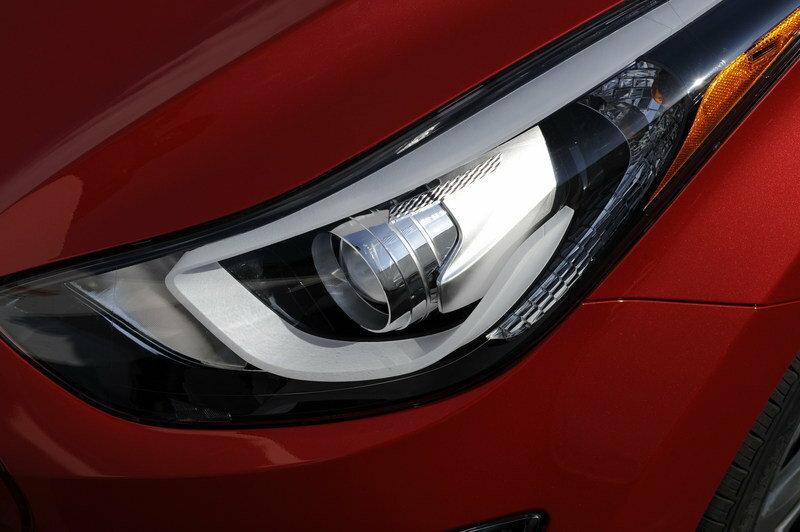 The headlamp and taillamp LED accents were also given a more technical appearance to give the Elantra a stronger attitude. From the profile, a chrome beltline molding and new sets of 17-inch alloy wheels on the Elantra Limited and Sport accentuate the Elantra’s premium image. 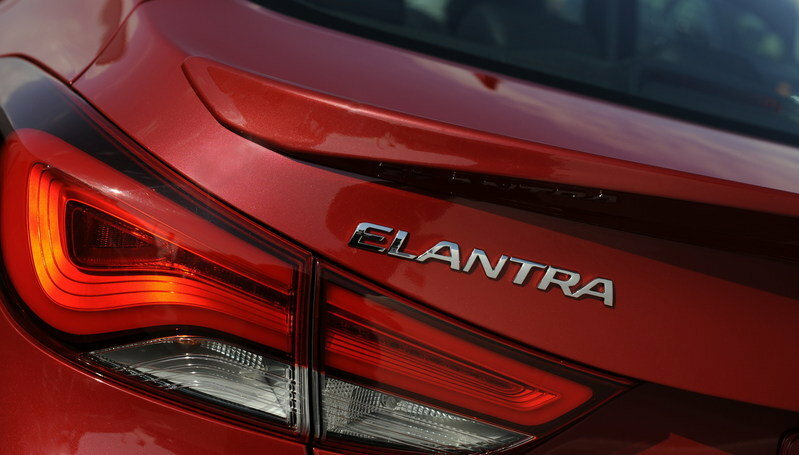 A new black, two-tone rear diffuser also sharpens the look of the 2014 Elantra. Pandora internet radio is integrated into the Elantra Limited’s optional multifunction seven-inch touch-screen display with navigation. The display screen has a Pandora icon for internet radio from an iPhone. Pandora can also be viewed on the display screen and songs can be given the familiar Pandora thumbs up or thumbs down. (By selecting the thumbs down icon, that particular song will never be played again.) Pandora can be connected to the head unit via a USB cable and integrates album cover art. Elantra SE and Sport have an AM/FM/SiriusXM/CD/MP3 audio system with six speakers. This system also includes iPod®/USB auxiliary inputs. The Sport and Limited trims come equipped with a 4.3-inch color touchscreen audio with standard rearview camera. This system is part of the Preferred Package on the Elantra SE. Elantra Limited features an optional premium audio system with navigation that pumps out 360-watts of sound and includes an external amplifier. It also accesses digital music files employing Bluetooth streaming audio and allows the driver and passengers to access their personal listening devices through the iPod/USB/auxiliary inputs. Bluetooth audio wirelessly streams music from a phone to the audio system. The 2014 Elantra now offers the 2.0-liter “Nu” GDI engine in the all-new Sport trim. This addition will be very popular with consumers who are looking for exceptional responsiveness, refinement and more performance. The 2.0-liter Nu GDI engine in the Elantra Sport produces 173 horsepower at 6500 rpm and 154 lb.-ft. of torque at 4700 rpm. This adds 25 more horsepower (+ 17 percent) and 23 lb.-ft. of torque (+18 percent) when compared with last model year’s 1.8-liter Nu engine from the prior model year. These performance gains were achieved by increasing the displacement of the 1.8-liter Nu engine to 2.0 liters and equipping it with a GDI fuel delivery system. 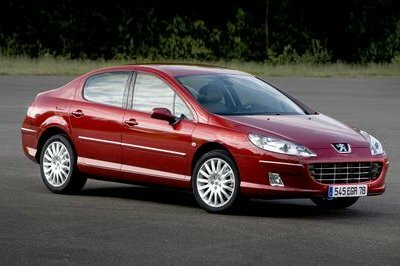 The stroke of the 1.8-liter Nu engine was increased from 87.2 mm to 97 mm to get the displacement up to 2.0 liters. The 2.0-liter Nu has been tuned to provide more torque at 1,500 rpm than the outgoing 1.8-liter Nu. The engine also delivers more torque - from 4,000 rpm to 5,500 rpm - for impressive linear power delivery all the way up to redline. Equipping the Elantra Sedan Sport with the 2.0-liter Nu four-cylinder engine with GDI ensures a great balance between performance and fuel economy. The Elantra Sedan Sport with the 2.0-liter GDI engine and six-speed automatic transmission achieves an EPA estimated 24 city/35 highway mpg with a ULEV emissions rating. The 1.8-liter Nu four-cylinder engine with six-speed automatic when equipped with 15 or 16-inch wheels achieves an EPA estimated 28 city/38 highway mpg. This shorter, more direct path of fuel delivery, allows for greater control of the fuel mixture at the optimum moment, thus improving efficiency. The fuel is injected by a camshaft-driven, high pressure pump that operates at pressures up to 2,176 psi. Direct injection also utilizes a higher than normal 11.5:1 compression ratio for increased power. The pistons are “dished” to increase combustion efficiency in the cylinder. Behind the wheel of the entry level Elantra SE and top-of-the-line Elantra Limited, drivers benefit from Hyundai’s Driver Selectable Steering Mode, with three operating modes – Comfort, Normal and Sport. This innovative system allows drivers to adapt the Elantra’s steering characteristics to varying driving preferences and road conditions. Comfort mode is ideal for city and parking environments, offering the greatest ease of steering with a decrease in steering effort. Normal mode is ideal for a mix of driving conditions. Meanwhile, Sport Mode is optimized for higher-speed freeways or winding roads and decreases power steering assistance. The Driver Selectable Steering Mode not only adjusts power assistance levels in each mode, but also adjusts on-center build-up feel and steering build-up curves throughout the steering range, for a very natural and progressive feel. 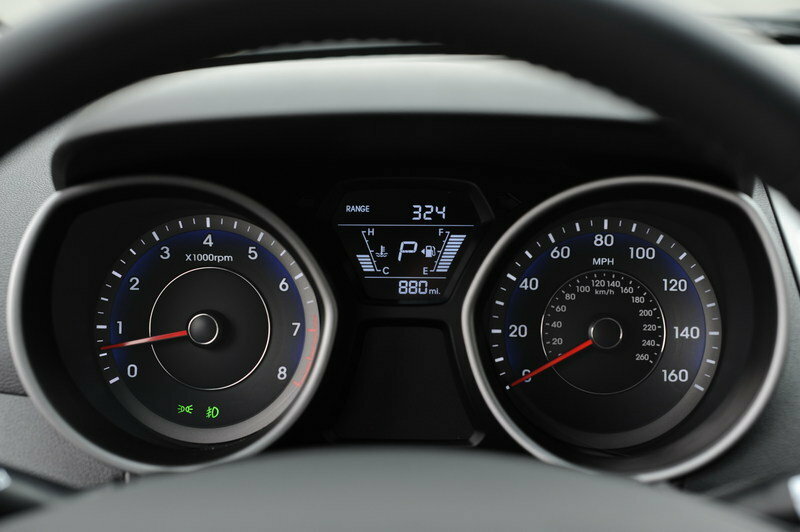 Steering dampening characteristics, active return and friction levels have also been optimized in Elantra. 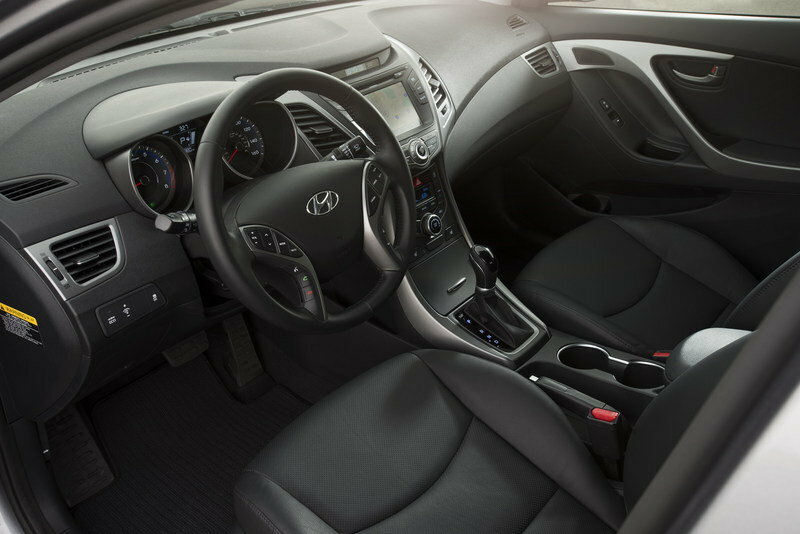 Elantra is still a “class above” some competitors when it comes to interior room. In fact, the Elantra is so roomy the U.S. Environmental Protection Agency (EPA) classifies it as a mid-size car, rather than a compact car like Civic, Mazda3 and Focus. 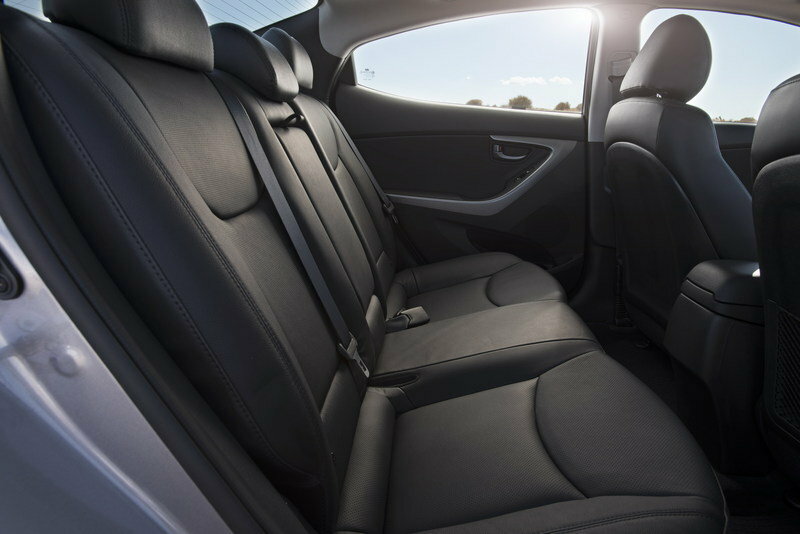 Elantra’s total interior volume of 110.4 cubic feet beats the 2013 Honda Civic sedan, 2014 Chevrolet Cruze, and 2014 Ford Focus. Surprisingly, it even surpasses the Acura TSX (108.5 cu. ft.), Nissan Maxima (110.0 cu. ft), and VW CC (106.8 cu. ft.) in total interior volume. Ultimately, the long wheelbase allows for compact car efficiency with mid-size car comfort. An example of this is found in the long seat track, delivering best-in-class front seat legroom. Elantra’s trunk volume at 14.8 cubic feet also beats Civic and Corolla. This means Elantra’s trunk can fit three sets of golf clubs versus only two for Focus and Civic.